“Mark is a magnificent pioneer, forging a path for organic agriculture to be a more fully respected force within the U.S. Department of Agriculture,” said Ferd Hoefner, policy director at NSAC. “Mark Lipson has worn many hats over the years: farmer, activist, USDA employee. 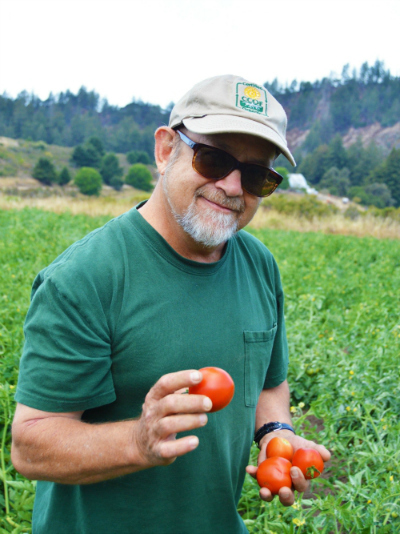 Through it all, from Santa Cruz to Capitol Hill and back, he has remained a champion of and thought leader for the organic farming movement,” said Brise Tencer, executive director, Organic Farming Research Foundation (OFRF). Lipson has been a partner at the Davenport-based Molino Creek Farming Collective for the last 30 years. During much of that time he has also had a second career off the farm, working on state and federal policy for organic agriculture. He started his advocacy career as the first paid staff member at the California Certified Organic Farmers (now the nation’s largest certification organization), later he worked as the policy director at the Organic Farming Research Foundation, and eventually made his way to the USDA, where he helped lead the Know Your Farmer, Know Your Food Initiative and chaired the agency’s organic working group from 2010-2014. “The tendency in movements is to be provincial, to only understand the part of the elephant that you’re standing next to,” Lipson said.